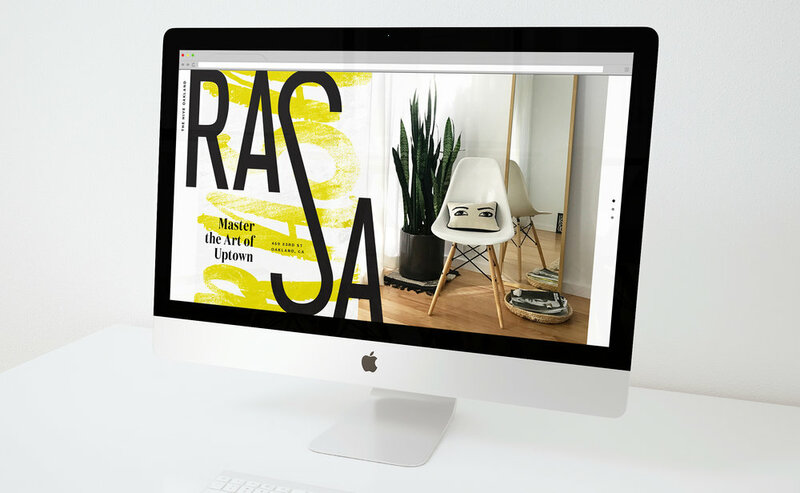 Potentially the first site of the Oakland Art Murmur/First Fridays, Rasa is a 65-unit development that embodies Oaklander artistic values while delivering curated amenities and a cultured lifestyle. The ground floor will house two retail spaces, including one intended for Rock Paper Scissors, a displaced Uptown art collective. Recognizing Rasa’s foundations as a renowned creative arts community, a mark expressing growth and plurality references the location’s unique past and future. The visual expression of "from the ground floor up" pays homage to the community and art collective below, and is an effortless extension of the eclectic energy and influence alive in Uptown Oakland.